By integrating complex electrochemical sensors with simple, fairground tattoos, nanoengineers have created a highly sensitive, wearable biosensor that monitors electrolyte and metabolite levels in sweat to assess the metabolic health of a patient, and in particular, their stamina. The temporary electrochemical tattoo relies on a carbon fiber backbone so that it bends with the skin during normal activity without loss of functionality and a conductive polymer that is sensitive to pH-levels in sweat. 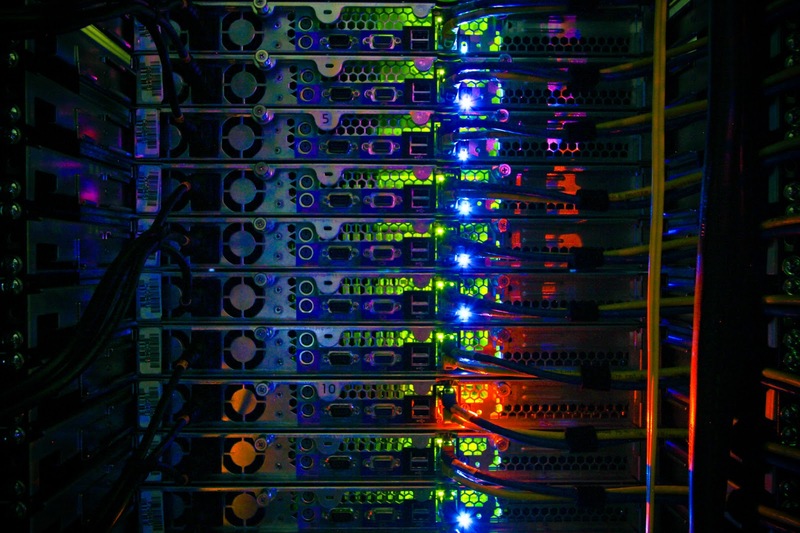 Information systems now rely primarily on fiber optic networks to connect and share data around the world using photons instead of electrons, but the underlying computer technology is still based on electronic chips. 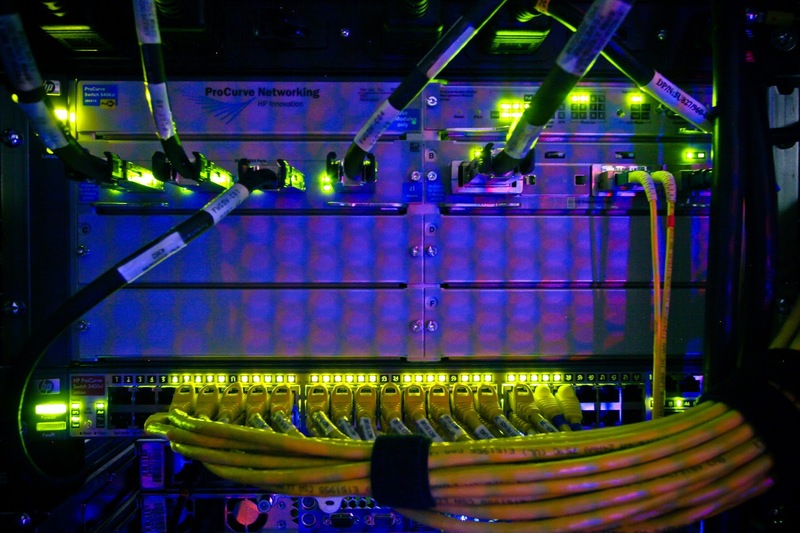 Researchers are hard at work developing on-chip optical networking devices such as optical waveguides, switches, and amplifiers. Electrical engineering graduate student Andrew Grieco is developing a new type of optical waveguide that promises to improve efficiency and reduce power consumption. Grieco is a Ph.D. candidate in the Ultrafast and Nanoscale Optics Group led by Shaya Fainman, professor and chair in the Department of Electrical and Computer Engineering. A newly built electron beam lithography fabrication tool house in the Nano3 Cleanroom Laboratory at the California Institute for Telecommunications and Information Technology is proving essential to his ongoing research. The e-beam lithography technology enables researchers to “write” very fine patterns on large substrates with a level of precision that was previously unavailable in the region. A team of Jacobs School engineering students is competing in a March-madness style competition at this year's Clinton Global Initiative University conference. Supporters have until 11 a.m. (Pacific) Thursday, March 28 to vote for their team and send them to the Sweet 16's next round. Vote now here! The Jacobs School team is designing model homes for a village in the Philippines that uses sustainable energy sources and will withstand typhoons and earthquakes. Students are working with Gawad Kalinga, an organization that aims to end poverty in the Philippines by 2024. Some are originally from the Philippines. Engineers are using a couple of strategies to tap into renewable energy resources for the village. 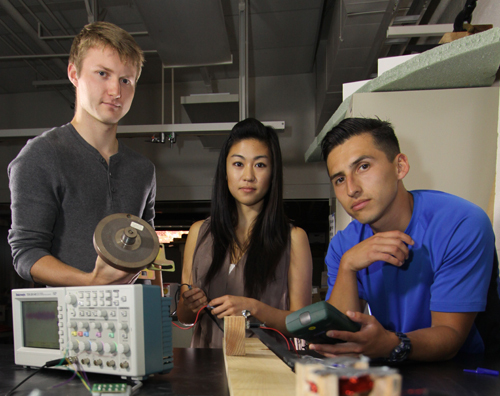 They are building low-cost devices made from recyclable materials. They are developing a sand filter that can remove bacteria, microbes and dirt from water. To protect the home against typhoons, students are recommending that homes be outfitted with metal brackets, known as hurricane straps, that connect roofs to walls and stay put even in hurricane-force winds. The team is part of Global TIES, a program that allows undergraduates to work on ambitious projects with nonprofit organizations and government agencies throughout the world. Get an early look at emerging technologies, new engineering research trends and big ideas, all in one afternoon at the UC San Diego Jacobs School of Engineering. Meet potential hires among the 200+ graduate student presenters from the highly ranked Jacobs School of Engineering at UC San Diego. 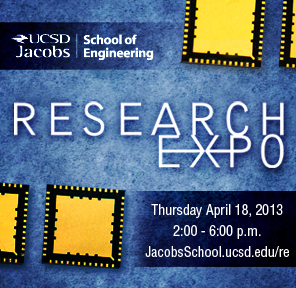 The Jacobs School of Engineering invites you to Research Expo on April 18. Researchers at the UC San Diego Jacobs School of Engineering are testing a full-scale, 7-meter-tall retaining structure on the world's largest outdoor shake table in March and April. 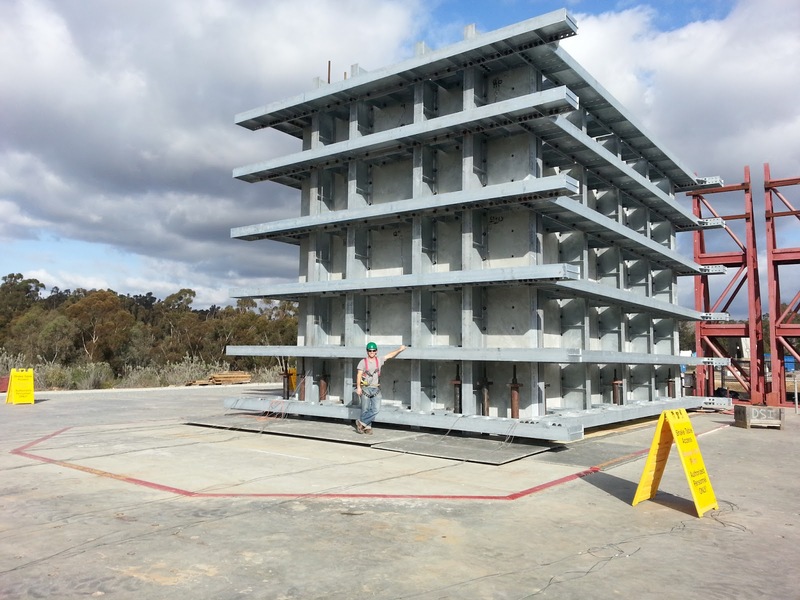 The tests at the Englekirk Structural Engineering Center at UC San Diego, conducted on a scale never achieved before, will collect high-quality data on the overall seismic response of the structures, which are an integral and ever-growing component of our nation's infrastructure. 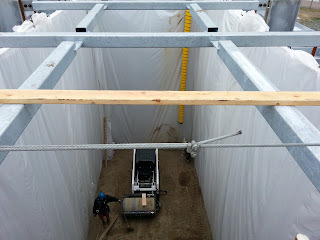 The data will be used to enhance the design guidelines for mechanically stabilized earth walls in the areas where earthquakes are most likely to happen. It will also help validate previous research and existing numerical models. 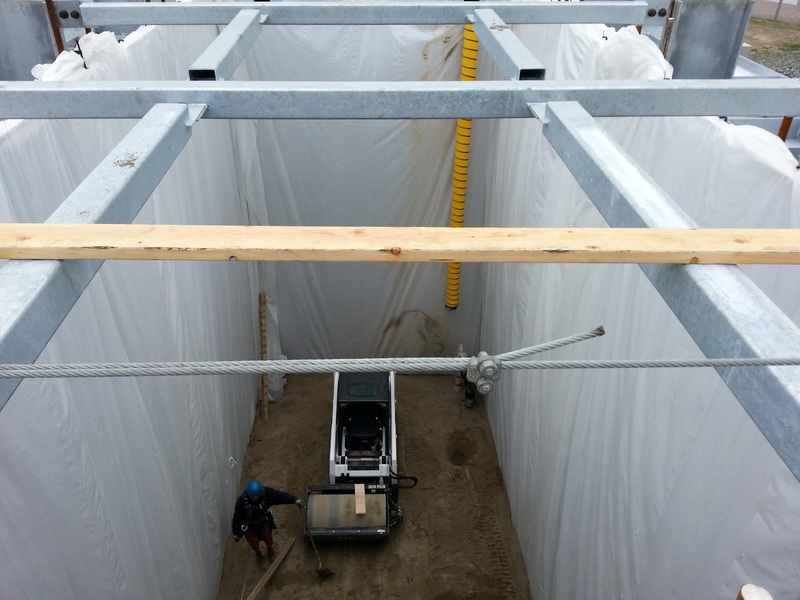 The tests, led by structural engineering professors Patrick Fox and Ahmed Elgamal and Ph.D. student Andrew Sander, are sponsored by the NSF's George E. Brown, Jr. Network for Earthquake Engineering Simulation (NEES). Inside the box before it's filled. April 6 is the second annual Triton Day at UC San Diego! For newly admitted students, Triton Day serves as a chance to learn what it means to be a Triton, and an opportunity to accept UC San Diego’s offer of admission. For current students, staff, and faculty, the event provides a rare opportunity to rediscover the excitement that is UC San Diego, even if you are on campus every day. Activities planned in and around the heart of campus are scheduled to take place from 9:30 a.m. to 4:30 p.m. and include live entertainment in the Price Center Plaza, the “Charting the Course” College Planning and Information Session at the Conrad Prebys Concert Hall and Thurgood Marshall College’s 35th annual Cultural Celebration. We hope you will experience the fun April 6 – and also help us promote Triton Day! Please see the web blurb and bug that you can post on your website, add to online communications and more! Join us! We invite the campus community—including YOU—to share your Triton pride on Saturday, April 6. To find out more, go to tritonday.ucsd.edu. Have you seen the great "They Came Here" video produced by CONNECT? The first 30 seconds of the 3.14 mile Pi run at the UC San Diego Jacobs School of Engineering. Photos are posted on the Jacobs School Facebook page. Check out the Pi Run preview story...a wrap up story is on its way. The run is a fundraiser for the San Diego Science Alliance, a group that provides outreach for students in kindergarten through 12th-grade. The latest graduate program rankings for the UC San Diego Jacobs School of Engineering from US News are out. The Jacobs School remained #8 in the nation among engineering schools at public institutions, and #14 in the nation overall. Bioengineering ticked up one spot to #3 in the nation! Computer engineering jumped to #12 from #17. The full list of rankings is below. It's also on the Jacobs School ranking page on our website. 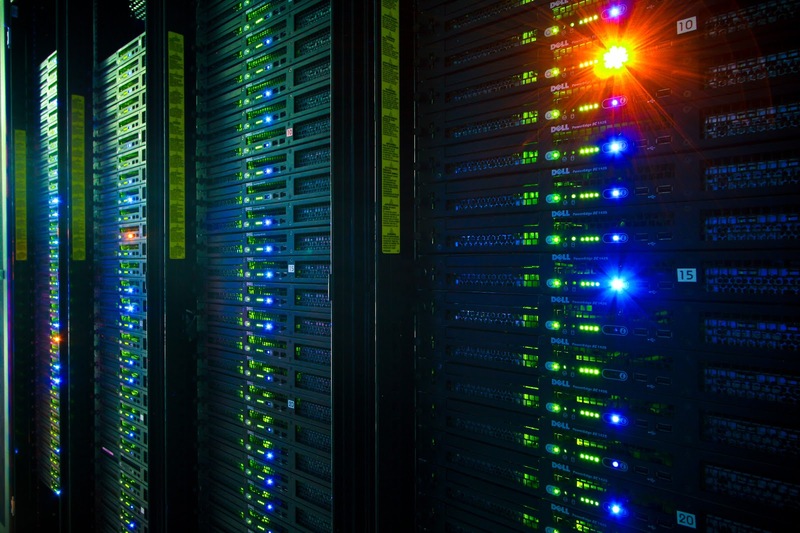 Want to see the research behind the rankings in action? 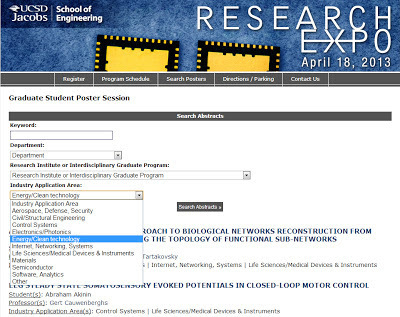 Attend Research Expo on April 18. The Department of Bioengineering ranks 3rd in the nation for biomedical/bioengineering(U.S. News, published March 2013). Bioengineering has ranked among the top four programs in the nation every year for more than a decade. 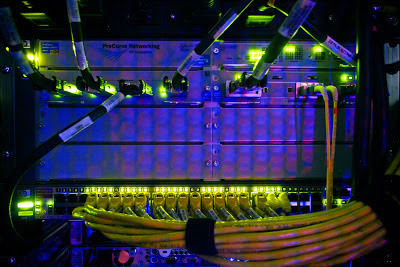 The Department of Electrical and Computer Engineering (ECE) ranks 14th for its programs in electrical engineering and communications, and 12th in computer engineering, a program offered in both ECE and CSE (U.S. News, published March 2013). The Department of Mechanical and Aerospace Engineering ranks 18th for aerospace engineering and 20th for mechanical engineering. (U.S. News, published March 2013). The Jacobs School of Engineering ranks 25th for Materials Engineering and 54th for Chemical Engineering. 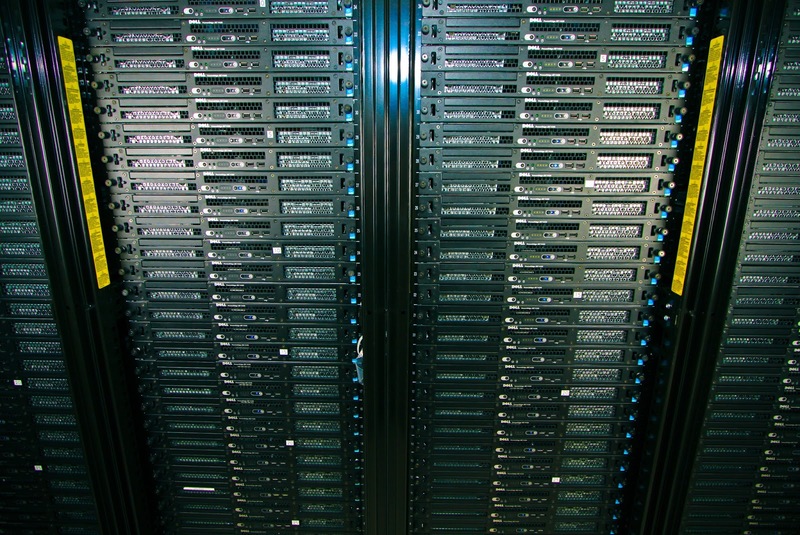 Much of this work is performed within the Jacobs School’s Department of NanoEngineering. The Department of Structural Engineering is ranked 19th for civil engineering (U.S. News, published March 2013). 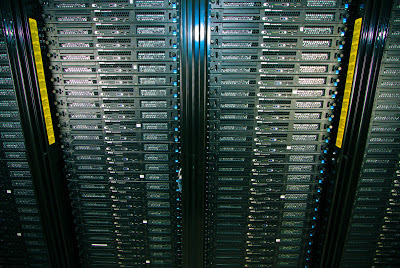 We spent about an hour in the server room of the Computer Science and Engineering Building yesterday, looking for that perfect shot of the massive Dell servers. We think we found it--well, more than one perfect shot in fact. See for yourself. 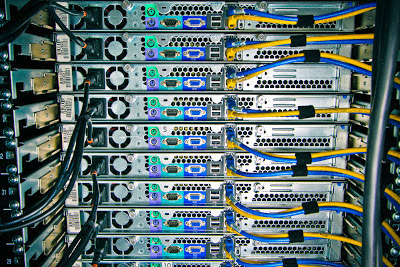 By the way, the servers are used to run complex simulations and calculations used by the faculty in the Department of Computer Science and Engineering. At last count, the department had 50 faculty members, 332 graduate students and 1656 undergraduates. 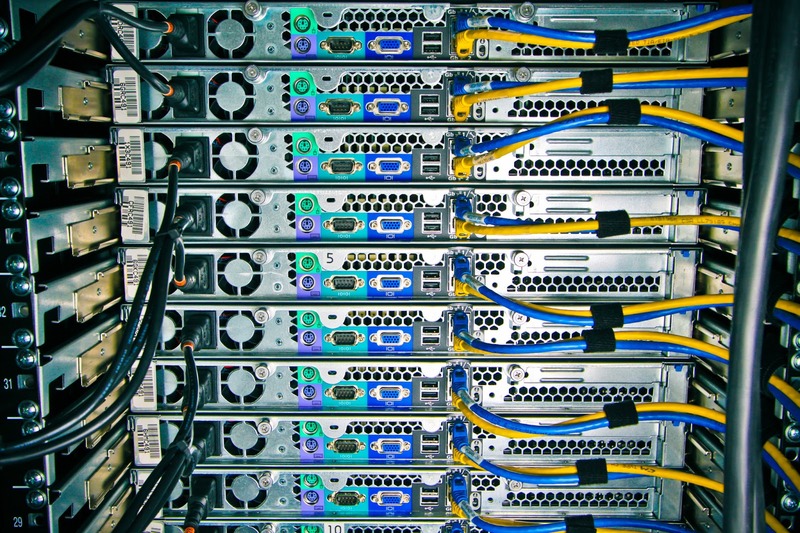 Its focus areas include machine learning, databases, graphics and vision, systems and networking, security and cryptography, software engineering, bioinformatics, computer architecture, embedded systems and theoretical computer science. New this year at Research Expo...the grad students had the option to tag their posters with one of ten pre-selected industry application areas...or write in their own area. 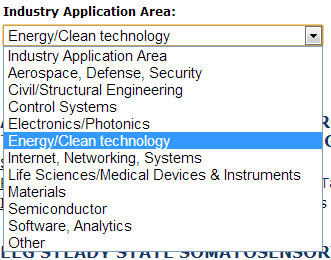 Give the Industry Applications Area search a try...see what you uncover. Kevin R. Fall, who earned his Ph.D. in computer science from UC San Diego in 1994, has been named chief technology officer and deputy director of Carnegie Mellon's Software Engineering Institute. According to a Carnegie Mellon release, he will "direct the research and development portfolio of the SEI’s technical programs in cybersecurity, software architecture, process improvement, measurement and estimating, and unique technical support to sponsors." Fall was principal engineer at Qualcomm. He also was co-founder of NetBoost Corp., which was acquired by Intel. He served on the U.S. Air Force Scientific Advisory Board and holds right U.S. patents. He is a fellow of IEEE and a member of ACM. Read the full Carnegie Mellon Press release here. Sure, we have almost perfect weather here in San Diego, but you still need information about shifts in temperature, cloud cover and winds to help reduce energy consumption. That's what the weather stations developed by Jan Kleissl, a professor of environmental engineering, and his students, are designed to do. 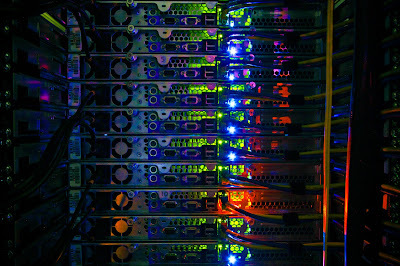 Called Decision Making using Real-time Observations for Environmental Sustainability (or DEMROES, for short), the network is comprised of 13 wireless stations. Each station is equipped with a host of sensors, including a sky imaging tool and instruments that produce hourly solar production forecasts. The stations, which are installed on UC San Diego buildings, were featured in the March 7 issue of This Week @ UC San Diego. 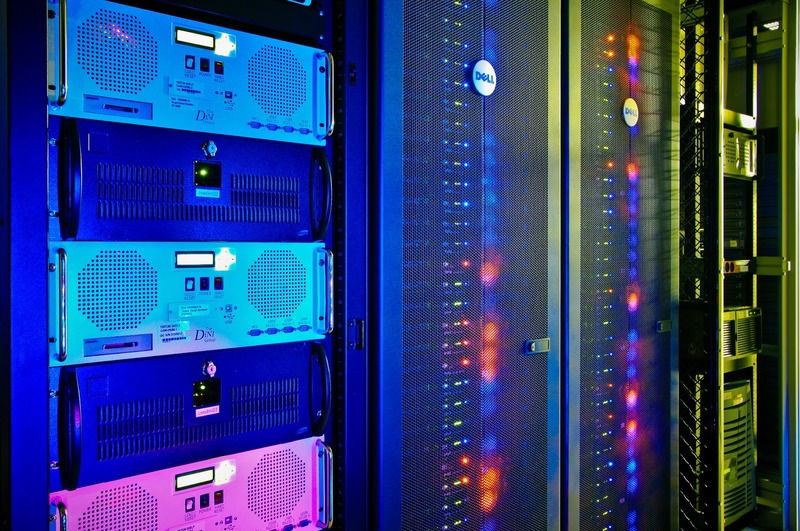 Designed in 2008 by Kleissl and his students, the network is unprecedented in the United States for the density of weather data that it collects. DEMROES reveal the temperature variations that occur across campus, from the cooler coast near Scripps Institution of Oceanography to the warmer east side of campus near Moore’s Cancer Center. The data the system collects on temperature, humidity, rainfall, wind speed and solar radiation allows researchers to predict microclimate impacts on building energy performance, such as natural ventilations to cool buildings and bright sunlight to heat structures. Kleissl also is using the project to teach students and inspire them to seek careers in which they can help reduce energy use. 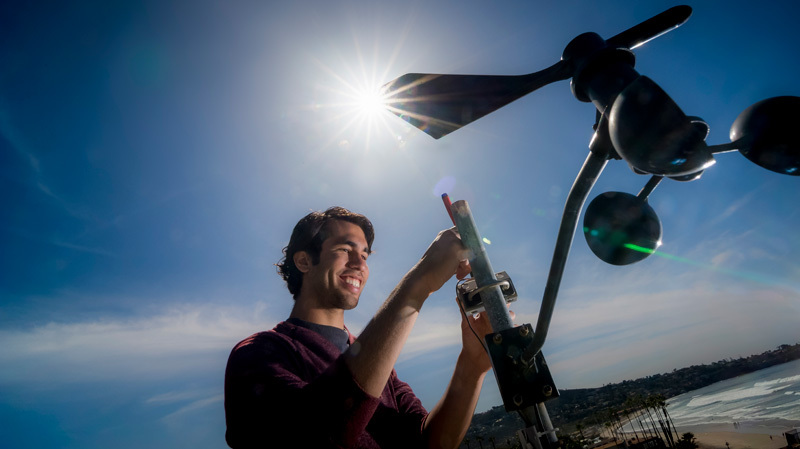 Both graduate students and undergraduates have been involved in designing, installing and upkeeping the DEMROES network at UC San Diego. Learn more about DEMROES here and here. Thank you to UC San Diego Publications and photographer Erik Jepsen for sharing their wonderful pictures of Mejia, inspecting the DEMROES station on top of Hubbs Hall at the Scripps Institution of Oceanography. Read the full This Week @ UC San Diego story about green roofs on campus here. Research Expo is a great way to connect with the big ideas, graduate students and faculty of the Jacobs School of Engineering at UC San Diego. At the 200+ poster session, get an early look at big ideas and advances in engineering and information technology. Ten-minute talks from new faculty hires from all six engineering departments. Talks cover advances in new materials, medicine, warehouse-scale computing and earthquake engineering. Enjoy a productive and interactive afternoon on campus. One of the Top 10 schools in the world is in your own backyard. Make the most of the opportunities. When: Thursday, April 18 from 2:00-6:00 p.m.
Nearly two dozen students buzzed around the Bear Courtyard this afternoon during the Jacobs Community Coffee Hour hosted by the Jacobs Graduate Student Council. The quarterly event featured free coffee, and ice cream for just 50 cents. Also available: Jacobs Grad T-shirts for a mere $7, or 3 for $20. Mark Chapman, student activities chair for the Council, said the T-shirt sales aren’t a fundraiser, but are instead designed to bring people together from across the Jacobs School. “It’s a way to build community,” said Chapman, a graduate student in bioengineering. That's Mark on the far right in the photo sporting the bright red Jacobs Grad T-shirt. Jacobs Graduate Student Council President Ludovic Vincent (far left in red), also a bioengineering student, said the Council offers regular networking, social and professional development programs and events throughout the year. Just last week, the Council hosted a luncheon with industry recruiters, who sat with students at round tables in a kind of recruiter speed dating. Next week, on March 14, the group is hosting the 2013 PI-Mile Run/Walk in partnership with the Triton Engineering Student Council. If you have not registered for the Pi-Mile Run, there are still spots available! Please register at jgsc.ucsd.edu. We’re assuming this is obvious, but the Pi-Mile run is 3.14 miles long. This Coffee Hour is hosted by the Council with help from the IDEA Student Center, and generously supported by GSA. If you haven't already, read our story on Recon 2, a kind of 'Google map' of human metabolism built by an international consortium of biomedical researchers who built the map in a series of jamboree meetings. The consortium was led by Jacobs School alumna Ines Thiele, a former student of bioengineering Professor Bernhard Palsson. Thiele, now a professsor at the University of Iceland, was part of the original six-person team who built Recon 1 in Palsson's Systems Biology lab in 2007. The group's latest paper, published online March 3, is now the most read story in Nature Biotechnology. It's also been getting plenty of media attention, including PopSci.com, Time.com, Wired Science UK, and Medical XPress. Recon 2 was featured on the front page of Volkskrant and on major radio program NWT in The Netherlands.